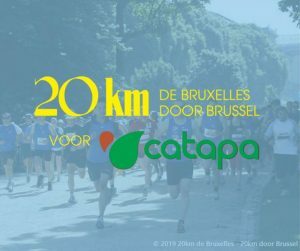 Are you also running the 20 km of Brussels for CATAPA on May 19th? Sign up and become one of the CATAPA runners! On May 19th, CATAPA runs the 20 km of Brussels to continue to fight for the rights of local communities that are victims of the ecological and social impact of large-scale mining; and to strive for a just society in which people and nature live in balance together. Do you want to join us? Register on the website of the 20 km of Brussels (25 euro) and add yourself to the group of CATAPA (group name: CATA10946). 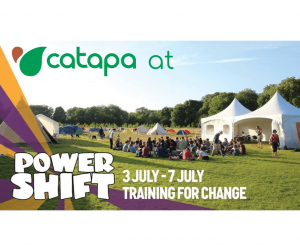 Engage yourself to raise at least 50 euros in sponsorship for CATAPA. You don’t feel like running but you would like to give CATAPA a boost? Sponsor one of our runners! 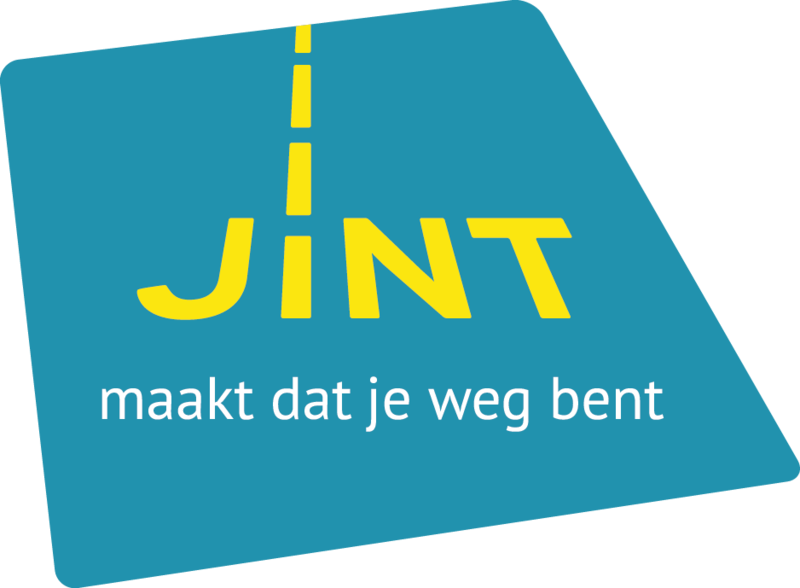 You can help by donating money on: BE49 9795 2861 7871, mentioning “Sponsoring CATAPA 20 km of Brussels (+ possibly: name of runner you want to sponsor)“. This donation is not tax deductible. For more information and/or questions, feel free to contact kim.claes@catapa.be. *To pick up in our office in Ghent. I am Charlotte Christiaens and I run the 20km for CATAPA in 2019, as I did in 2010. My passion to run through nature has only grown over the years. For once I want to exchange nature for the city on May 19th in Brussels. somehow I’ve often ended up in barbed wire while walking, resulting in torn trousers and wounds. Painful, yet stupid thing to do. But the greeting of my beloved trees and the sound of my familiar birds on my familiar paths I could not miss. When I don’t like it anymore during the race, I say to myself: “Come on Charlotte, this suffering is in no way comparable to how local communities in the South suffer from mining.” Do you sponsor me?! We are Kim and Koen, and together we run the 20km of Brussels for Catapa. We walk fraternally on double strength, full of enthusiasm and surrender, because we believe that Catapa brings us one step closer to a more just world. We will provide the blood, the sweat and the tears, would you put a dime in the bag? We promise to shine, from Catapa you will receive eternal gratitude! I am Iris Maertens: graphic designer, illustrator and digital ninja. The thing that I like to do the most is drawing. But as a creative mind, I’m always looking for new challenges! For CATAPA I will put my best foot forward. My name is Niels De Vos, from Lokeren, and I will run the 20 km for Catapa! A challenge for myself, and if a much-needed initiative like Catapa can be supported with it, that is more than welcome! Would you sponsor me? Environmental and human rights defenders are tirelessly committed to equality and justice. Unfortunately, they often face discrimination, violence, criminalisation, violations of their civil rights and the impunity of armed public groups (police, army) or hired groups (paramilitaries, death squads). All activists are presented with major challenges. However, female activists are additionally confronted with gender-specific violence and other risks. With a project called “Strategies of women human rights defenders confronting extractive industries“, CATAPA lead a campaign regarding the situation of female environmental activists who fight against the extractive industries in Latin America. With this campaign we wanted to give a voice to the female activists, to draw attention to their precarious situation and to encourage political institutions and other organisations to create mechanisms that offer better protection to these defensoras. The project was carried out in collaboration with several partner organisations including Ingeniería Sin Fronteras (ISF) and REDD (Red Latinoamericana de Mujeres Defensoras). There are many dangerous sectors in which it is risky for environmental activists to offer resistance. According to the organisation AWID, the most unsafe context for activists is the mining industry, followed by hydropower projects and dams, agro-industry and logging. Alda Facio, head of the United Nations Working Group on Discrimination Against Women, confirmed in May that even the most vulnerable group of women human rights activists aims to prevent extractive industries from operating (besides fighting for reproductive and sexual rights). Offering resistance to extractive industries also implies challenging (inter)national companies and global elites, which collaborate with governments and sometimes even with religious and ‘traditional’ institutions. Research by Front Line Defenders (FLD) shows that 281 human rights defenders worldwide were murdered in 2016: 49% of the total number were activists defending the environment, territory and indigenous rights. More than half of the murders, 143 according to the findings of FLD, happened in Latin America. All activists are presented with major challenges. However, female activists are additionally confronted with gender-specific violence and other risks. 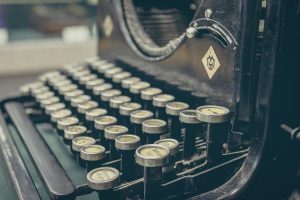 While environmental advocates are often labelled “non-patriotic” or “against progress”, female advocates are additionally stigmatised because of their gender and sexuality. “Despite the increasing dangerous context, more and more women play an important role in social movements. However, they run a higher risk of sexual violence, especially when they live in a militarised environment. Moreover, their children are also more likely to be threatened or attacked as a form of intimidation,” said Marusia Lopez of JASS at the same UN event in May. In addition, the rights that these women defend are not always recognised by society and in some countries they are even considered crimes. Female activists in Latin America often suffer from a three-dimensional form of discrimination. First of all, they are often treated with contempt because they are indigenous. They often have their own cultural habits, speak another language and believe in the worship of nature. Unfortunately, these characteristics cause them to be considered inferior in many countries. In addition, the specific (violent) context of the socio-ecological conflict in which they live also has a major impact on different aspects of their lives and, therefore, they do not always have the opportunity to move. Lastly, they also experience difficulties because they are one by one women who want to break with traditional role patterns. Because of the discrimination, they find themselves in a precarious situation as they ‘do not respect their obligations’ and become ‘rebellious’. Environmentalists who protest against the economic extractive policy of Latin American governments often become victims of the arbitrary use of the penal system, with the result that they are confronted with false accusations and unfair trials. These strategies of criminalisation are difficult to resist due to lack of money, time and contacts. An international consensus on the definition of what constitutes an environmental or human rights defender already exists. However, the double vulnerability of female activists is often forgotten. There are hardly any statistics on the total number of activists who are confronted with threats and gender-based violence or who are criminalised. Research agencies and international organisations should approach this issue from a gender perspective, so that specific resolutions and protocols can be drawn up and female environmental and human rights defenders in turn receive specific protection. As part of our project, international research teams were sent to partner countries in Latin America: Bolivia, Peru, Ecuador and El Salvador. These teams, with the help of local experts, investigated the issue of female activists who fight against extractive industries, using quantitative and qualitative research methods. The results were written down in a report that was then sent to the Inter-American Commission on Human Rights (IACHR). The IACHR is an autonomous legal body for the protection of human rights in the 35 member states of the Organisation of American States. On October 24th, the IACHR held a public hearing on “The criminalisation of female environmentalists in Latin America“. The session of the IACHR took place in Montevideo, Uruguay, and set an important step forward in raising awareness of the precarious situation of activists in the context of extractive industries in Latin America. Subsequently, CATAPA worked very hard in Belgium to bring this issue to the attention of the wider public and political institutions. The aim was to encourage political institutions such as the European Union to implement a gender perspective in their legislation and policies, which would lead to a better protection of female human rights defenders. 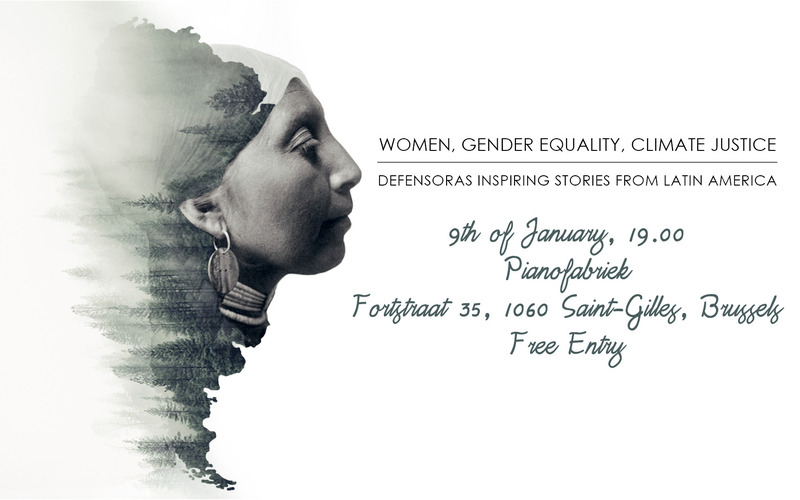 In January 2018, CATAPA organised two events during which several speakers explained the situation of female human rights defenders in Latin America and the possibilities of protection. Mirtha Vasquez was invited as guest speaker. The Peruvian lawyer and human rights activist represents Maxima Acuña in her fight against the gold mining project Conga. On January 10th, an event was organised in the European Parliament as part of a new EU Resolution on women, gender equality and climate justice. Mirtha Vasquez and Dr. Clara Burbano Herrera (University of Ghent), one of the project’s researchers, made recommendations for the EU on the protection of human rights defenders. This was followed by presentations by Florent Marcelessi and Jordi Solé (both Greens/EFA), members of the European Parlement, on respectively the existing protection of human rights defenders by the EU and how this was reflected in the EU budget. The day before, an event was organised in the Pianofabriek in Brussels on the same subject, where Mirtha Vasquez was invited to present to a full house. 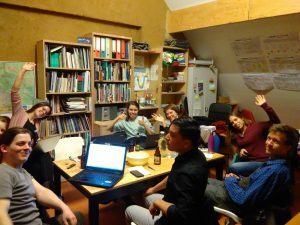 In addition to Mirtha Vasquez, Amelia Alva Arevalo (Ugent), one of the project’s researchers, and Nicky Broekhoven (Ugent), who conducts research on gender and climate, gave a presentation as well. During Open Min(e)d, formerly Academic Week, no less than three female human rights defenders were invited to give lectures at universities and colleges, and during events: Gloria Chicaiza from Ecuador, Margarita Aquino from Bolivia, Mariana Gomez from Colombia. With the campaign Mining in Paradise, CATAPA supported the agricultural and environmental organisations in four provinces in the North of Peru that didn’t want to allow mining in their region. This organisations saw a need in mobilising because of the fact that mining companies harm human rights, cross local development plans and threaten the most bio-diverse area in the world, the tropical Andes, which may cause irreparable damage. Below you will find an extensive list of achievements of our campaign. To meet the question of information about mining in local farmer communities and support them in the launching of joint actions. To get the subject of no-go-zones on the agenda of regional and national Peruvian politics. Sensitize citizens in Belgium and other European countries about mining issues in North-Peru. Stimulate international solidarity within the farmer’s population of North Peru. – The Frente, with the support of Red Muqui and CATAPA, has given about ten informative and participative workshops in different villages about mining, globalization and human rights. A total of more than 500 farmers took part in these workshops – large part of which were young people. About 70% of the population in the predominantly rural area is poor and has little or no access to education, nor information about the mining industry. – Farmer organisations out of four provinces have stated a joint statement ‘Zonas libres de minería’ (or ‘No-go zones for mining’) in which they comment on why they don’t want any mining activities in their area. Their principal requirements are: a spatial planning process with participation of the local population and respect for the environment, investments in the local development alternatives (agriculture and ecotourism) and the approval of a legal mechanism for consultation of indigenous people. – The people who are candidate at the election of mayor in the local elections on 3th of October, in four North-Peruvian provinces, have spoken out against a statement, during public debates prior to the elections. Many of them signed an ‘ethical pact’, in which they promised to respect the requirements of the declaration. The social organisations will see to it that they keep their promise. – Also the two new regional governors in the area promised openly in the media that they will be working on no-go zones for the mining industry. Moreover, the new regional governor of Piura has signed a personal agreement with the farmer organisations, in which he promises not to permit any mining activities in the páramos and cloud forests of the Andes, and to recognize the farmer organisations as ‘protectors of the páramos‘. – On 2nd December 2010, one year after the death of two farmer leaders who died because of the mining industry conflict, the local campaign was finished with an event in the farmer community of Segunda y Cajas. During this event, the death of the two leaders was remembered and the information about the campaign was spread in Lima and Europe. Also during this event hundreds of people were present. – A lot of networking was done between NGOs and social communities to enlarge the support of the national and international society. Several international NGOs, such as Oxfam America and Friends of the Earth US, supported this action. 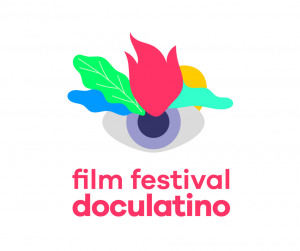 – The production house Guarango, which had made documentaries about the mining industry problems in Peru before, made, in cooperation with CATAPA, two sensitizing campaign videos. These were shown during ten informative sessions in the capital, as well as in North-Peru and Europe. 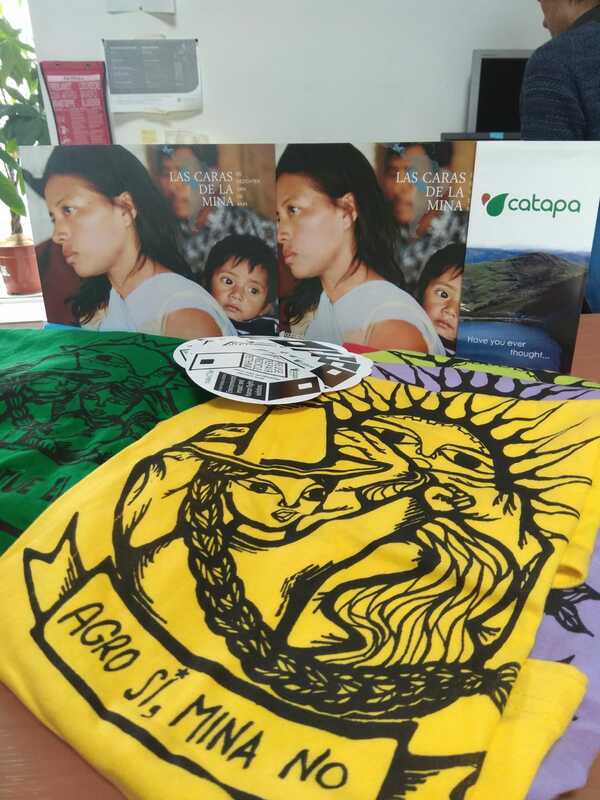 – With the support of CATAPA and a member of parliament from North-Peru, our partner organisations Fedepaz and Cooperacción organized a national forum in the Peruvian Parliament which threats the campaign theme no-go zones for mining. On this forum many experts gave lectures, representatives of local farmer organisations gave a speech and debates were held. The forum was commented in various national newspapers. – Four (digital) informative bulletins were published, in which each time a certain campaign theme was spotlighted. These bulletins were spread by the campaign partners to the general public. On the final event of the campaign in North-Peru, the people present got a summarizing bulletin of the campaign, with pictures of the different activities. – On the 16th of September, the website mininginparadise.org was launched in six languages, with the different campaign videos and an online petition to support the declaration ‘Zonas libres de Minería’. – On invitation of CATAPA, a European lecture series with Peruvian guests was organized. Some of the Peruvian guests were José De Echave, who is an economist and co-founder of CooperAcción, and the North-Peruvian biologist Fidel Torres. Furthermore, there were some witnesses of communities that had been harmed directly by the mining industry, such as Josefina Aponte, leader of agriculturers of Huancabamba, and Magdiel Carrión, president of the farmer movement FEPROCCA from Ayabaca. There were lectures with Peruvian lecturers in Great-Britain, Belgium, the Netherlands, Germany, France, Spain and Italy, to argument the need of No-go zones for mining. Numerous lectures and conferences were held in Flemish and Walloon colleges and universities, with all together hundreds of people present. – The most important activity of this tour was the international conference in Brussels, where hundred people were present. An extensive article in the newspaper De Morgen about the conference was written. – A brief investigation paper was written which covered the scientific and juridical foundation of the campaign. In cooperation with photographer Danny Veys, the Photo-exposition Mining in Paradise? was developed, which portrayed the reality of North-Peru and the impact of the large mining industry elsewhere in the country. This was exhibited during some months in Brussels.